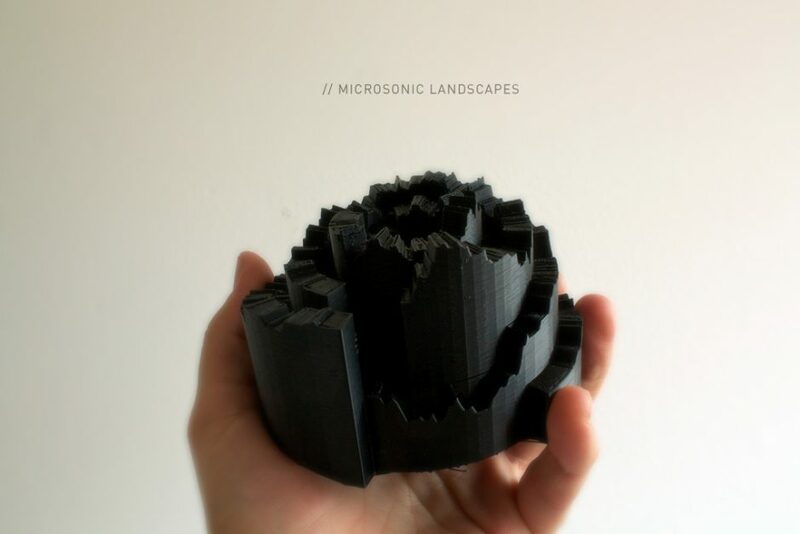 Microsonic Landscapes is presented as part of our Guest Curator Exhibition - SV+VS (Sonifying Visuals / Visualizing Sound) curated by Yoon C Han. Each albums sound-wave proposes a new spatial and unique journey by transforming sound into matter/space: the hidden into something visible. Each song is represented as a ring. Several rings come together to present a full album exploration. An algorithmic exploration of the music we love.. Four albums are included on this exhibition: Third by Portishead, Another World by Antony & the Johnsons, Pink Moon by Nick Drake, and Fur Alina by Arvo Part.